Demetrius truly believes in the power of user research—when it is done well. 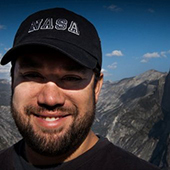 With a background in experimental psychology, Demetrius performed research within a university setting, as well as at NASA Ames Research Center before co-founding Metric Lab with long-time collaborator, Bryan McClain. At Metric Lab, Demetrius enjoys innovating powerful user research methods and working on exciting projects—ranging from consumer electronics with companies like Microsoft and Kodak to modernization efforts with the U.S. Army. Demetrius is constantly thinking of new methods and tools to make user research faster, less costly, and more accurate. His training in advanced communication helps him to understand and connect with users, tapping into the experience that lies beneath the surface. You can read more of Demetrius’s thoughts on user research and design on the Metric Lab company blog. Connect with Demetrius on LinkedIn.